I am going to share with you how I lost weight because so many people have so much to say about how to lose weight but don’t have the first-hand experience. Their advice is often based on ‘expert knowledge’ and not practical terms. What I have learned since making the decision to live a healthy lifestyle is that losing weight is so much easier said than done. People will judge you negatively when you are fat- it’s a fact. When you fail, and you will often fail a thousand times, they will label you as undisciplined, lazy and dumb. When a person who has never been fat criticises an overweight person, they don’t understand what it’s like to be out of shape. They do not know how much most fat people try to lose weight, and how many times they fail, but keep trying again, and again. I would like you to relate to me both as a fat person and one who lost weight. I have two kids, and before motherhood, I had no weight issues. 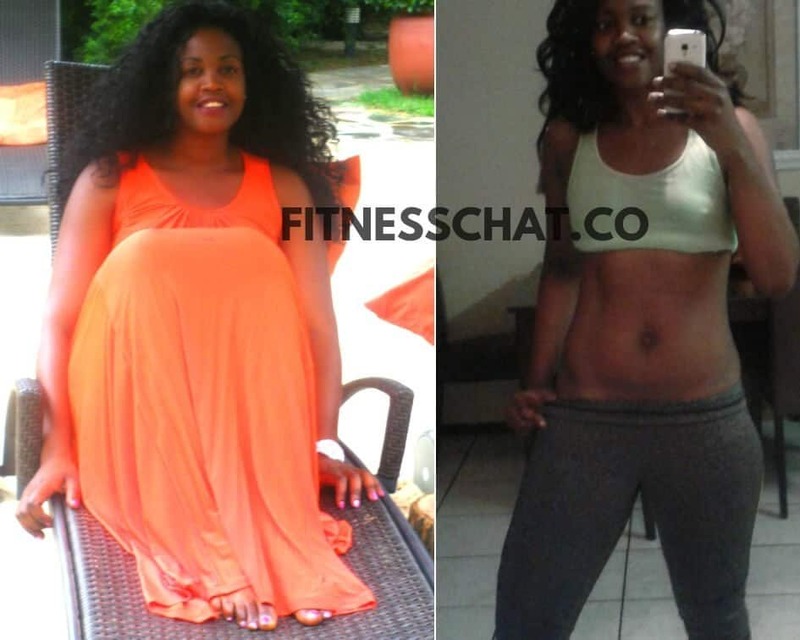 After the birth of my first child, my weight fluctuated up and down. But that was because I never really watched what I ate or exercised. Two years later, I had my second child and that’s when my weight skyrocketed. My baby must have been less than 4 months old when the dad took a photo of us and when I looked at it, I didn’t see the 25-year-old that I was. What I saw was a 42-year-old woman holding a baby. Yes, I looked 42, because of the massive weight gain. I tried to eat healthily, and incorporate exercise into my daily routine but it was an uphill struggle that I just couldn’t consistently maintain. Fast forward to a few years later, my battle with weight remained the same, until I followed the steps and lost over 45 pounds. Here’s how my weight loss journey began, and how I lost weight. This post may contain affiliate links. Read my disclosure here. 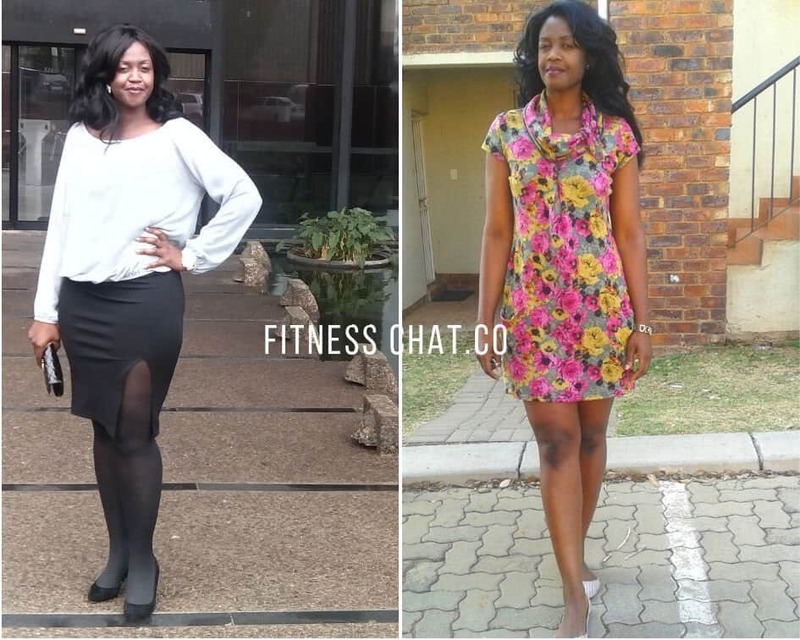 For years I tried to lose weight and I succeeded sometimes but within a few months, I would eventually pile it back because I had no weight loss plan. I knew that I terribly wanted to lose weight. I suddenly had a light bulb moment when I realised that I was sabotaging my weight loss by strictly focussing only on the ‘now’ and not on the ‘later’. I had no long term focus, goals or what would come next after I had shed the extra pounds. At the time, losing weight felt like I had just bought myself a free ticket to eating all the chocolate, greasy foods and many other ‘treats’. Planning is an essential part of weight loss, just as it is in all aspects of life. 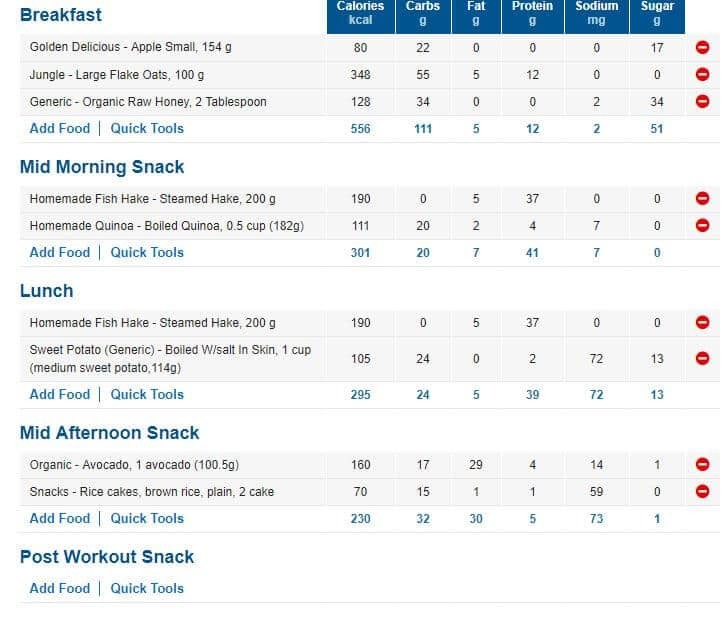 In order to effectively lose weight and maintain it, you’ll have to plan and track your meals and workouts. Somewhere in my mind, I had a vague reason why I wanted to lose weight. It was a want, not a need. My reason was so lame that if someone offered me anything that I knew would sabotage my weight loss, I accepted the offer without hesitation. I took a step back and reflected why I NEEDED to lose weight. Once I figured it out it was smooth sailing. What Is Your WHY Right Now? What is your WHY this week, next month or next year? HOW will I get it? What steps will you take to lose weight? What kind of meals will you be eating? What will be your exercise plan? Your answers to these 3 questions will define your next fitness moments and goals. You will either fail or succeed based on these 3 simple questions. Write down these questions in your fitness planner and next to them write down your answers. Are your answers compelling enough to make you want to workout at the end of the day, when you feel like you’ve got nothing left in you? Is your WHY compelling enough to make you say no to a piece of cake, a packet of chips, or whatever it is that makes you give in when the going gets tough? Something that you have to understand about how I lost weight is that I didn’t constantly jump on the scale in order to track my progress. I practised two things that helped me keep my sanity as well as measure how much weight I was losing. So the first thing I did was take my before photo. I used that photo to document how much progress I was making. Every week, on Sundays I would take my after photo to see and appreciate how well I was doing, as opposed to jumping on a scale. Next, I bought a measuring tape to track how many inches I was dropping each week. My advice to you is to toss the scale aside and jump on it only once a month. Use a measuring tape weekly instead, because the numbers on the tape are more accurate than those on the scale. Since you will be measuring inches, it’s advisable to take off your clothes because clothes add extra inches. You need the measurements to be as accurate as possible so do this in your birthday or bathing suit. Here is the most important part of how I lost weight. I didn’t go on a diet. I took control of how much I ate and not what I ate. So many people think that cutting out food groups from their diet is key to weight loss. Well, when you cut out nutrients like carbs, you probably will lose weight, but is that going to be sustainable? Probably not. So, this is something I also realised through my years of ups and downs – diets that encourage you to cut out this and that are not sustainable long term. Eating healthy is how I lost weight. Instead of skipping carbs, I embraced them and ate more of slow energy releasing carbs. Instead of being afraid of eating fat, I ate healthy fats like avocadoes, nuts, seeds and butter. I drank more water, ate more protein and substituted white refined sugar with either honey or brown sugar. I had treats which I absolutely loved-like cheesecake once a week (usually on Saturday), or once every fortnight. I have learned that giving myself a treat day helps me stay sane. As you may have heard before, one bad meal will not make you fat, just as one good meal or workout will not make you healthy. Consistently eating healthy is what helped me lose weight fast and easy. Eating healthy will help you lose weight fast even without exercise. However, most people miss the point that even the healthiest foods contain calories and those calories are what makes you either lose, gain or maintain weight. It’s so important to calculate how many calories you need to eat per day in order to lose weight. There are weight loss calculator apps and sites such as MyFitnessPal, Spark People and BMI Calculator that will help you in this regard. 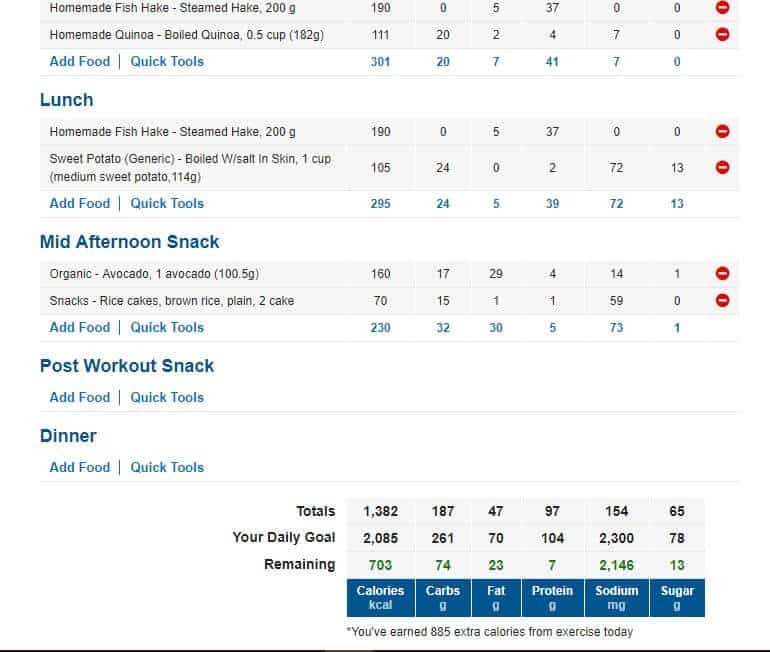 I downloaded the MyFitnessPal app and used it to calculate how many calories I needed to eat. The app also helped me keep track of what I ate – I was honest with myself and tracked everything that passed through my lips. I also tracked my exercises and many calories I burned each day. So often when it comes to healthy food, people think they just need to eyeball their servings. If you are just starting out on a weight loss journey, I would strongly advise you against eyeballing food portion sizes. Get yourself a digital kitchen scale to help you control your portions. Only once you have mastered what a real portion size looks like should you sometimes skip the scale and just wing it. It’s a proven fact that you can lose weight fast without exercise if you follow a healthy eating plan and the strategies I have mentioned above. For a healthier lifestyle, adding exercise to your daily routine accelerates weight loss and also improves your quality of life. 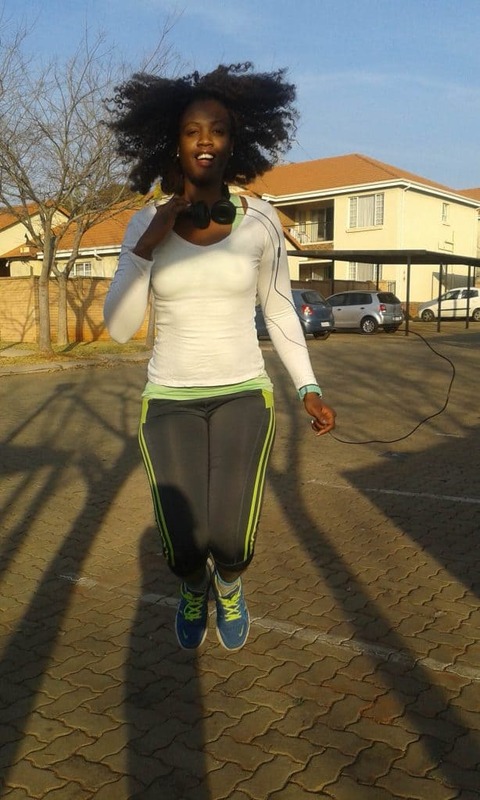 Right at the start of my healthy lifestyle journey, I included exercise. This is why it’s important that you follow my first step to how I lost weight, and write down your why and how. I worked out at least four times a week in the beginning and as I grew stronger and fitter, I exercised 5-6 times a week. I followed Jillian Michaels’ workouts at first and in this post, I share in detail which ones of her workout routines I followed. When I outgrew Jillian’s plans, I developed my own high impact workout plan that helped me to get bikini ready and look and feel even better. You can check out my 30-day ultimate bikini body workout challenge here. My final word of advice if you really want to lose weight, you have to mean it. Mean everything you do from now on. Be honest with yourself. If you sneak it in a bar of chocolate but fail to log it, you are only cheating yourself. 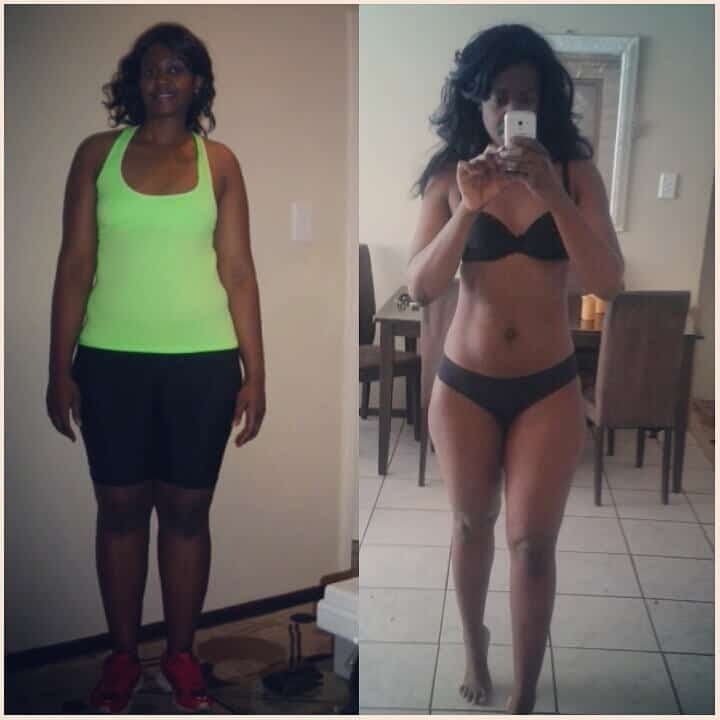 How I lost weight can also be your story one day. 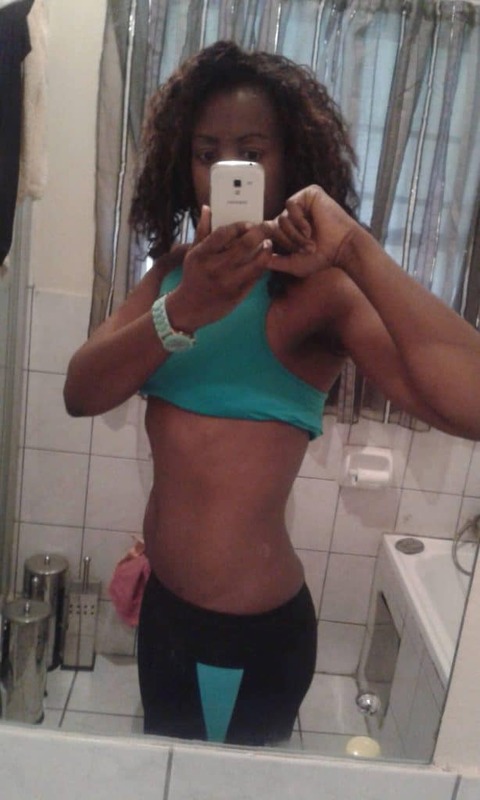 What you give in is what will show in your progress photos. Start today and start now with these fast and easy ways I used to lose a total of 44 pounds. 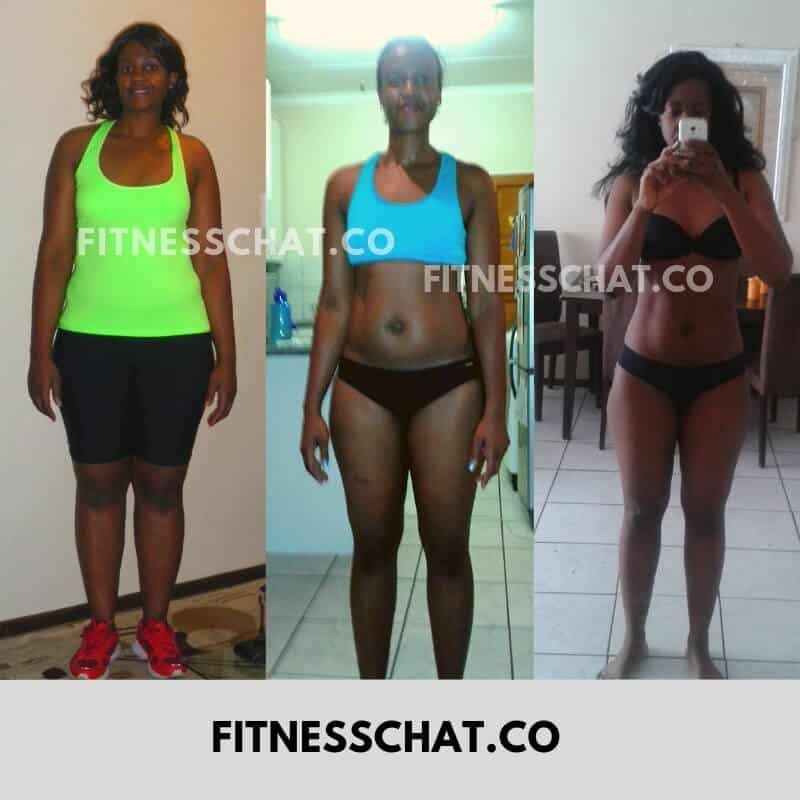 If you stick to it, you just might be sharing your weight loss success story about how to lose weight at home, without ever stepping foot inside a gym. way to go girl- feeling strong and im sure feelin so good too! great job sticking to it and making yourself feel your best! You look amazing! Congrats on the weight loss. I jog daily to try to keep my weight in check. I like my junk food and refuse to give it up, but I make sure I exercise daily. All of your ideas are wonderful and each person needs to choose what is best for them when they start this type of journey. It is a totally life style change. Looks like you have done an amazing job of getting that weight off!! This is a great post for me. I want to lose weight asap. I find the best way is through the right food choices, that always seems to make a difference. Well done on your weight loss journey. Congratulations on losing the weight! I know how hard it can be to lose weight and keep it off. These are some really good tips. I really enjoyed really this post. I found your tips really helpful. I’ve learned as well that planning is key. This is a really helpful perspective and congratulations on reaching those goals. Your strategy should be a lot of help! Thank you so much for sharing your tips! They are awesome. I really need to try and bring someone of them into my life as I could do with losing weight. There are so many helpful weight loss tips here. In total, this is a really helpful perspective for anyone who wishes to get on a fitness plan. You look amazing! It takes a plan to loose weight for sure! These are some really sound tips! I know I should be doing all of them but I think I was only incorporating a small portion of them. I don’t really understand why some people have so much animosity towards people who are overweight, but I know it is true. I was thin for many years, but have put on a lot of weight in recent years. I have just gotten serious about trying to get control of myself and really appreciate these tips! You are amazing and gorgeous! Thank you for the tips in losing weight. I need to be serious about losing weight. What a great accomplishment you’ve had! 15 pounds in a month is awesome and you look great! These are all great tips for how to loose weight quickly. I agree that you have to decide it and stay with it. Using MFP is great way to hold myself accountable. I lost 10 lbs recently in 6 weeks without exercise so I think adding the exercise will really help me. It took some real dedication and effort to achieve these results. Keep it up! Very inspirational! Great tips, plus you look great! Keep it up, you’re an inspiration!